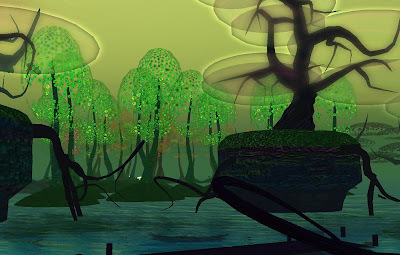 Second life is a bit back-to-front in a number of ways, one of which being that, despite the manic striving for ‘realism’ by some, it, and other Virtual Worlds are all bald. There is, unlike the ‘real’ world a total deforestation of land before you buy it, so you start off with a blank canvas. This obviously has it’s pro’s and con’s. It isn’t unusual for land owners to put buildings up first and then, with the few prims they have left to throw a few Linden “photo-on-sticks’ trees around the site in an effort to make a landscape. Luckily for us all there are exceptions, those who realise that actually a house is not so important in a climateless zone, and they relish creating a natural habitat. 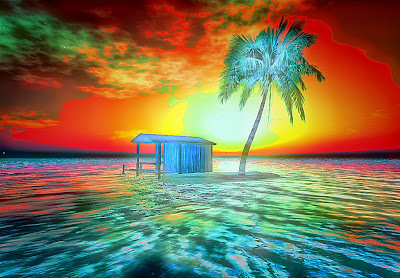 This picture by Vani ice called second life world shows just the sort of thing I mean. Here the designer has realised that it is the natural setting that really shows off the building. The photo is simple and well composed. Bountiful isla mallorca ll by riotgrrrl 1974 is a riot of flowers. The simplicity of the landscape is actually quite realistic in that much of nature is a simple community of very few plants. Her treatment of the image takes it to other dimensions though. 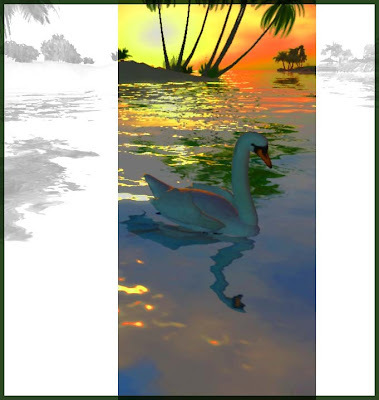 LookatmyBack has, similarly, transformed a fairly plain scene into a rich image enhancing a sunset to the sort of surreal colourscape that we do see sometimes in RL, well...nearly.. This one is called....Isolation is not that good to me... I'm going crazy! .... :)) great place to go mad, though. The woods can be quite moody and mysterious, and The Colours! by Franzael from the World of Warcraft, has certainly captured that magic. Dark, with light in the distance, it really makes you feel you are in there. Well, while not quite as good a photographer as some I felt justified in popping this little one in here by soror Nishi as I've worked all my Second Life on landscaping. This one is from Magoo and shows the power of a good Windlight setting. This is Gelatto, one of the many settings you can play with, and suddenly transforms the scene into a swamp landscape.. worth playing around a lot before you snap. 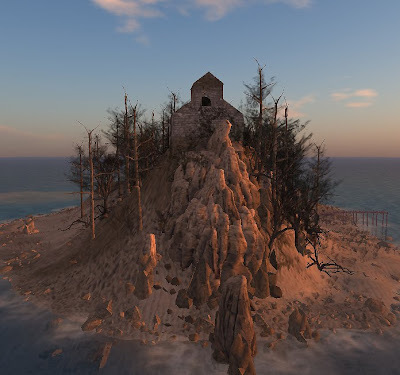 I am a sim designer in secondlife, and also feel the need for more realism builds with attention to the landscape. 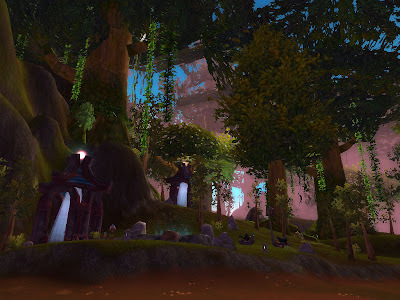 I am currently working on a roleplay sim which covers a full sim and a dreaded open sim, however all is not lost , even open sims have enough prim space to create a lush rainforest as i have discovered, it just takes careful placing and an eye for a natural feel. I hope people will take the time to visit my sim build the Ancient Mayan Empire, you can see some of the views in my page here on koinup. I think everyones should be. It's the way to go. . .